A unique creature that inhabits the grassland and forest which is cunning and quite fast. Its daily life is regular. It take exercise every few hours every day to maintain a healthy body. 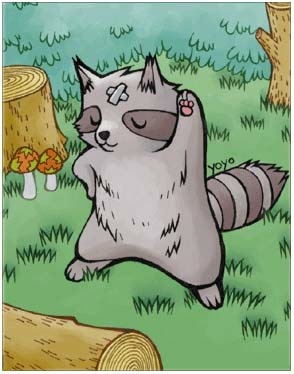 It is said that destined person can learn the secret skill "Diverse Civet" through the Raccoon Leaf dropped from it!